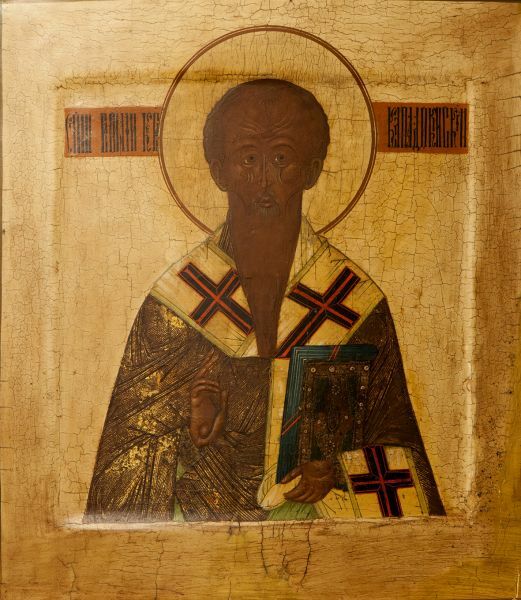 Icon St. Nicholas the Wonderworker. Year – The 16th century. 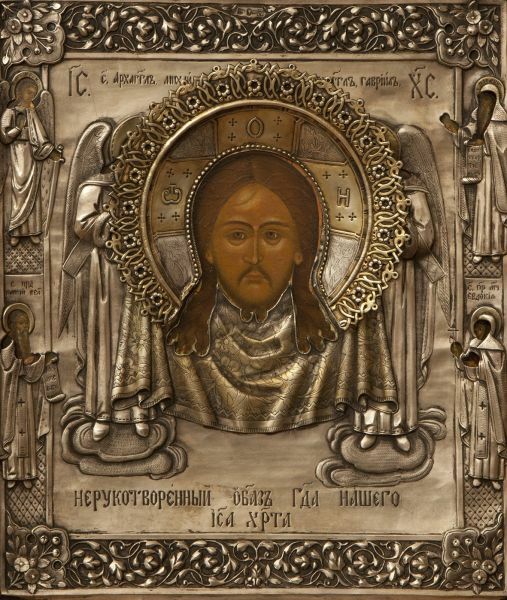 Icon of Kazan Mother of God. Year – Presumably the 19th century. Technique – Tempera on board, revetment (silver, incuse, engraving, inlay with coloured glass and fresh-water pearls, installed aureolas). 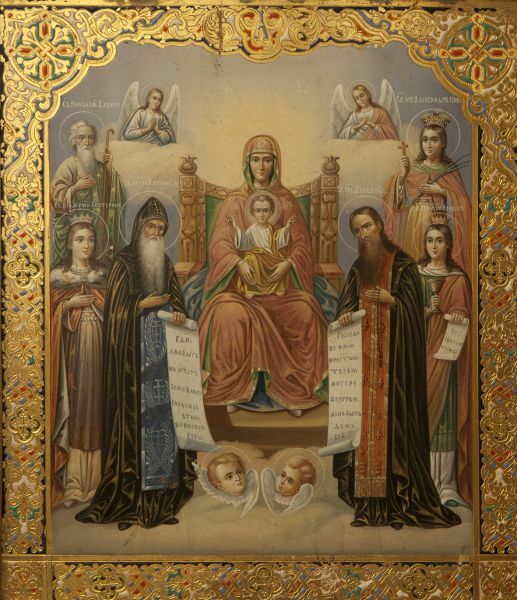 Icon Holy Mother with St. Nicholas and kneeling priest. Technique – Wood, painting, silver revetment. 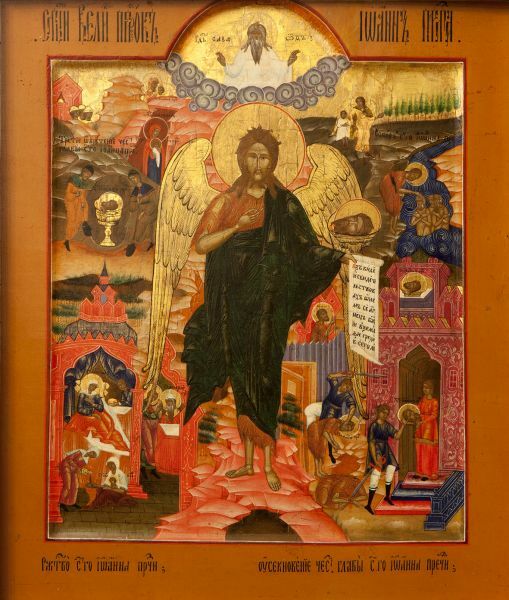 Fourfold icon with The Crucifixion. 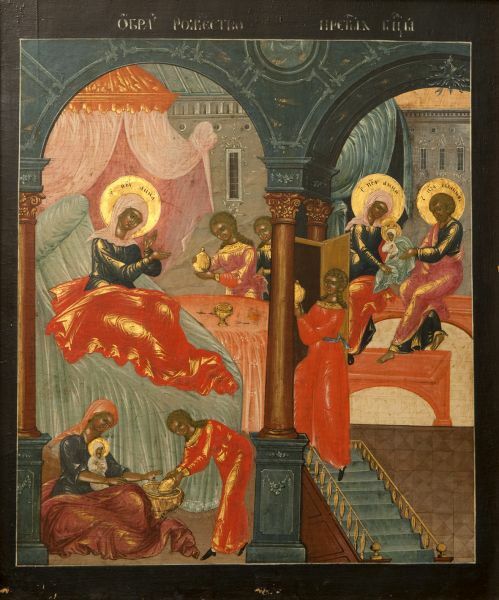 Technique – Tempera on board, revetment (silver, gilt, stamping, incuse, installed aureolas). Year – The 18th century. Technique – Wood, two cut-in counter connectors, gesso, tempera revetment (silver, gilt, incuse, engraving, installed aureolas). 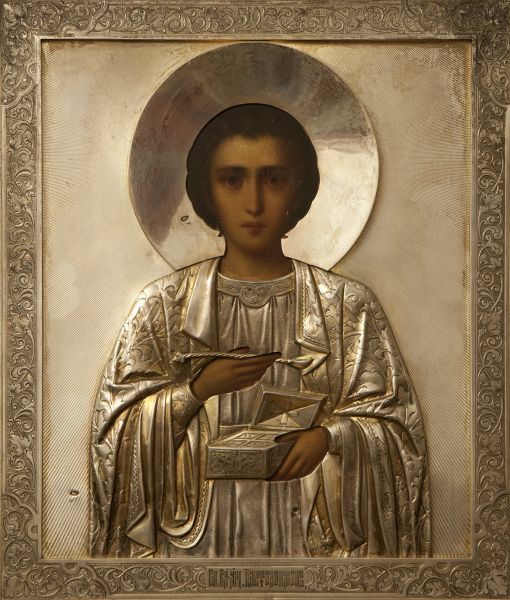 Technique – Tempera on wood, revetment (silver, gilt, incuse, engraving, installed aureolas). 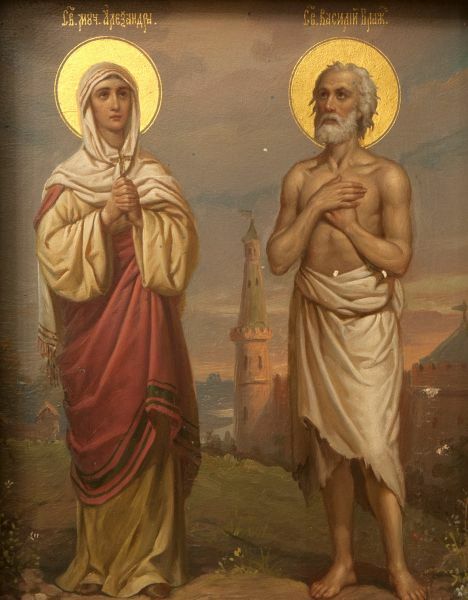 Images of holy martyr Alexandra and Basil the Blessed. Technique – Wood, gesso, oil. 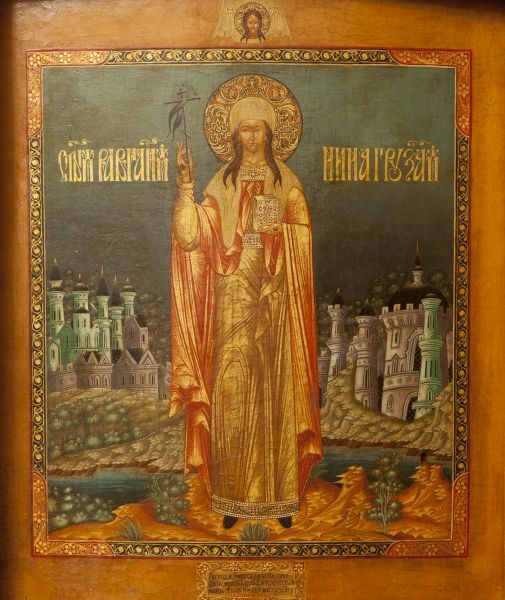 Kiev-Pechersk the Most Holy Mother of God. 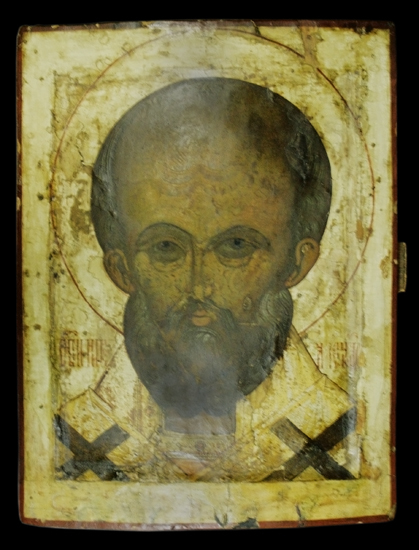 Technique – Wood, gesso, tempera, enamel paints. The Birth of the Virgin. Technique – Wood, gesso, tempera, oil. Technique – Wood, gesso, tempera, silver revetment (84 fineness). Year – The middle of the XIX century. 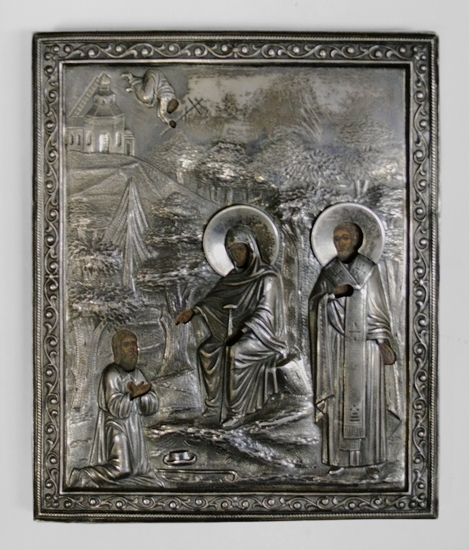 Technique – Wood, gesso, oil, silver revetment (84 fineness). Technique – Wood, gesso, tempera. Three Saints. 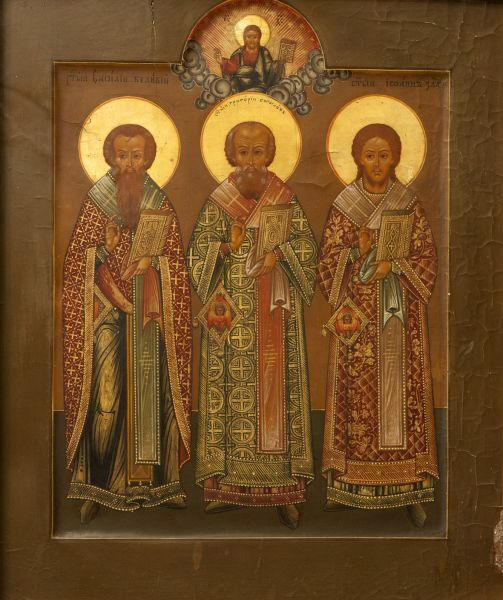 Basil the Great, Gregory the Theologian, John Chrysostom. Technique – Egg tempera, gesso on board. Revetment: stamping, silver gilt and enamel. Icon. 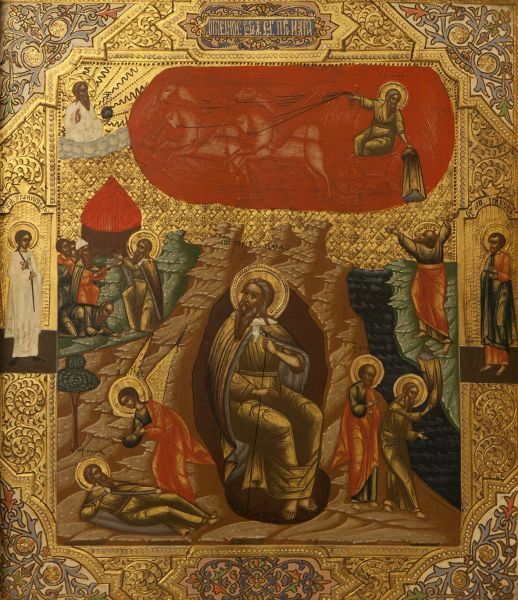 Seven Sleepers of Ephesus. 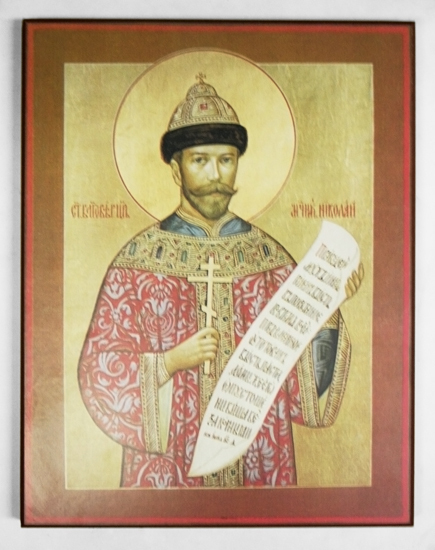 Technique – Egg tempera, gesso and gilding on board. Technique – Tempera, gesso on board.